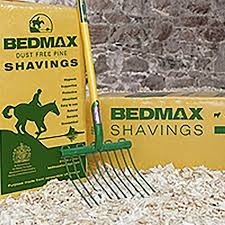 Bedmax is large flake pine shavings specifically made for horses and ponies. Pine has natural antibacterial properties to help control harmful fungi and bacteria. Bedmax is dried and dust extracted during manufacture. Here at The Paddock Pantry, we pride ourselves in our products and our service. Everything on our site was chosen because of it's quality and to fulfil our commitment to providing a fantastic service. 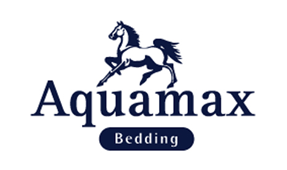 We have vast range of tried and tested quality products from top equestrian brands. With decades of knowledge between us, we assure you, that everything on our site comes with our seal of approval. The Paddock Pantry prides itself on our equestrian knowledge. Every order comes with our experienced advice. We are always here and happy to assist you with any questions you might have. 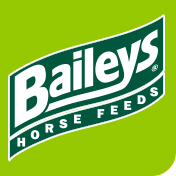 Seasonal Horse Advice, Special offers. Sign up to our monthly newsletter. Copyright © The Paddock Pantry Ltd 2019. Registered in England No. 7567744.